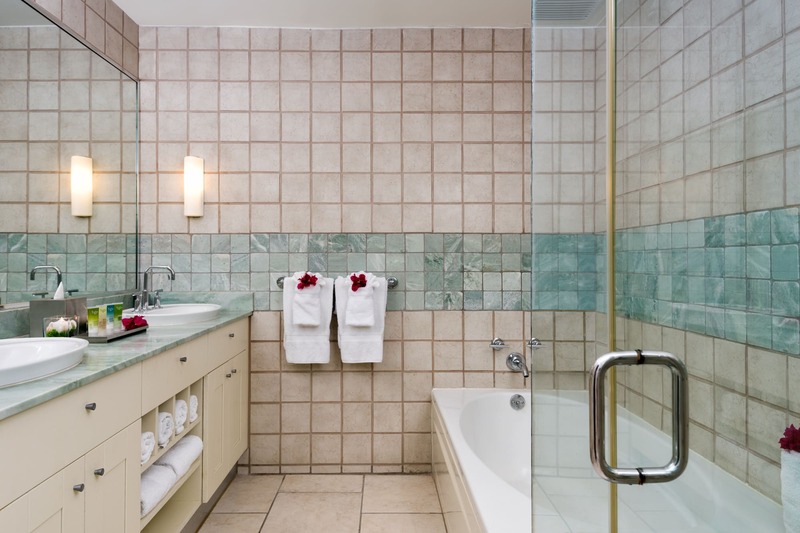 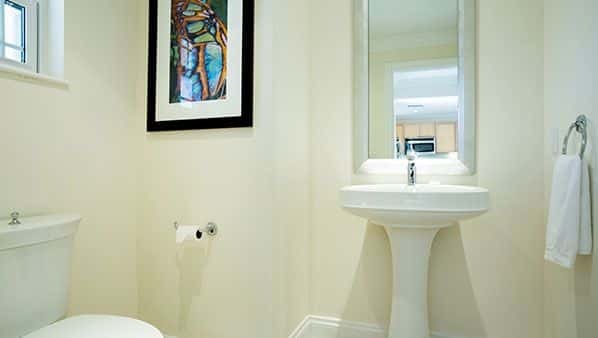 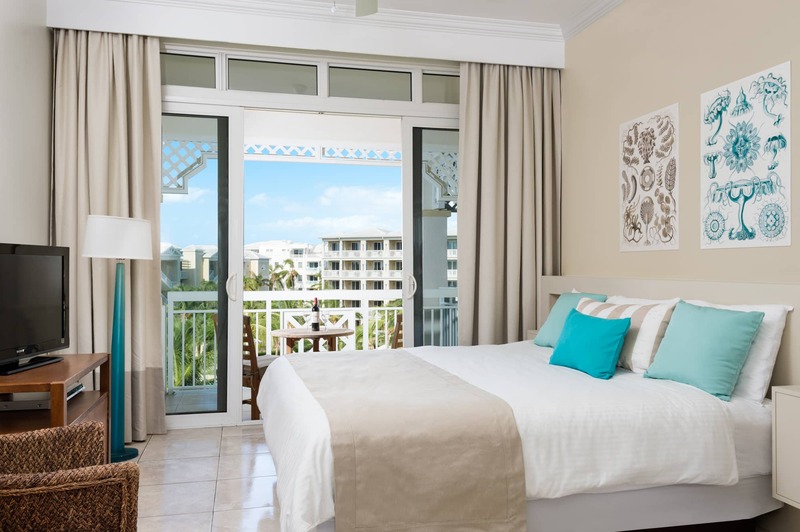 One bedroom suite features a balcony or terrace and a master bedroom with king bed, flat screen TV and a full en suite bathroom with separate tub and shower. 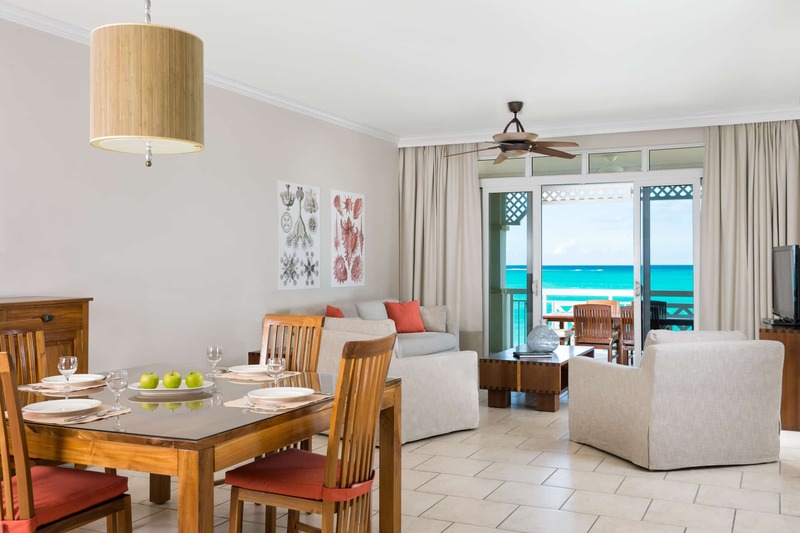 The living room comes with a queen sleeper sofa, ½ bathroom and a flat screen TV. 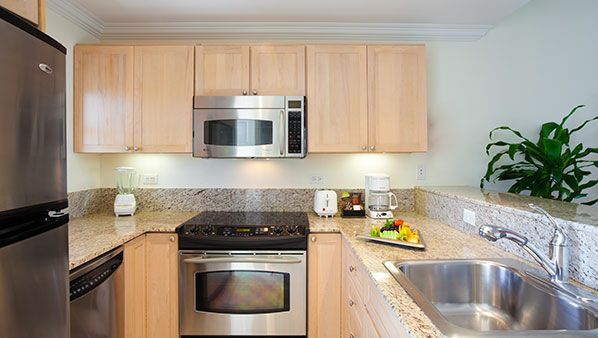 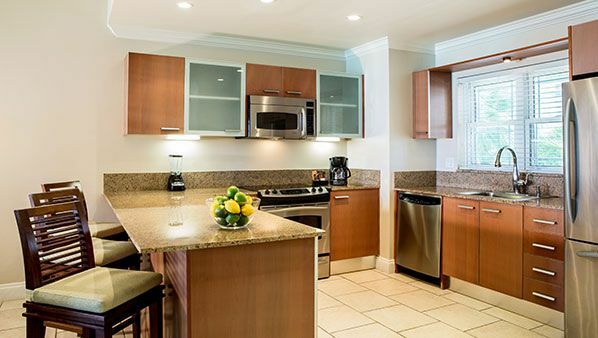 All suites feature A/C, ceiling fans, US & international cable TV channels and a full kitchen. 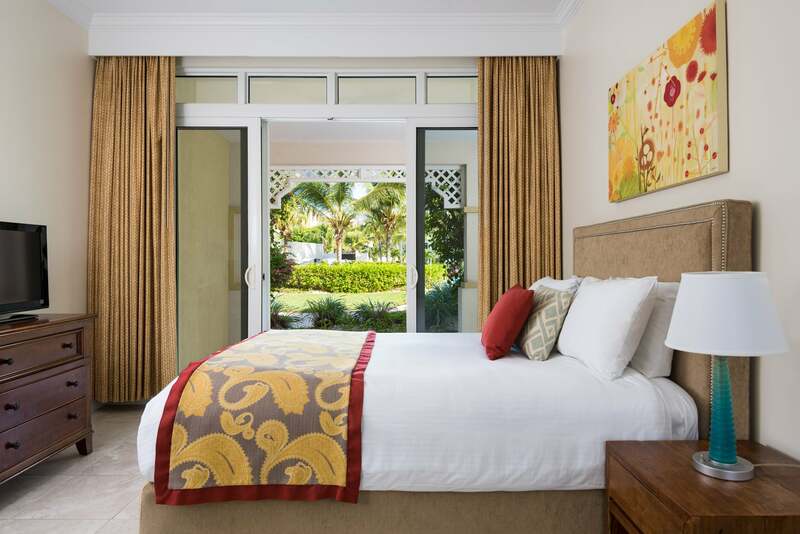 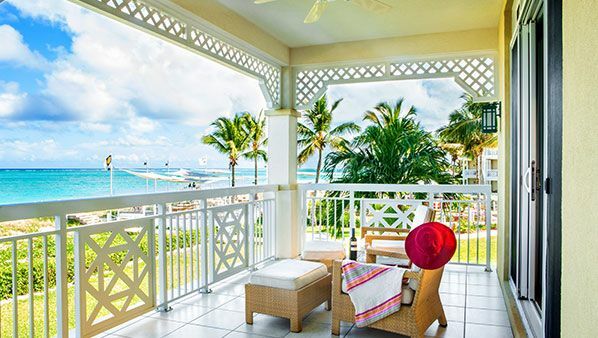 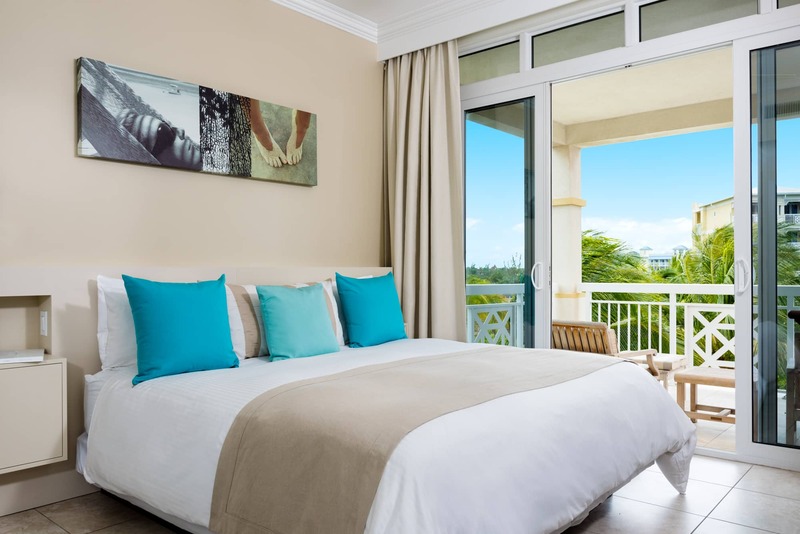 One bedroom suite features a balcony with partial ocean views and views of the pool and gardens, a master bedroom with a king or queen bed, flat screen TV and a full en suite bathroom with separate tub and shower. 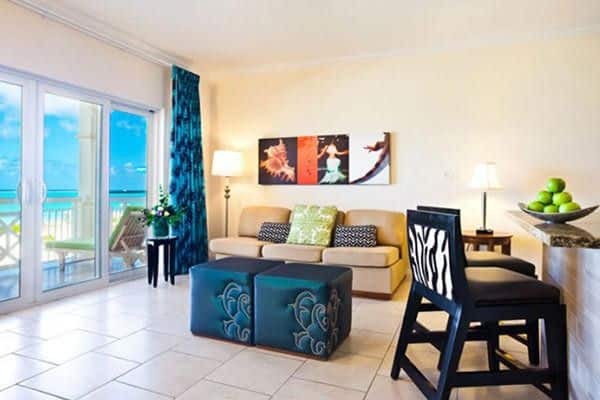 The living room comes with a queen sleeper sofa, ½ bathroom and a flat screen TV. 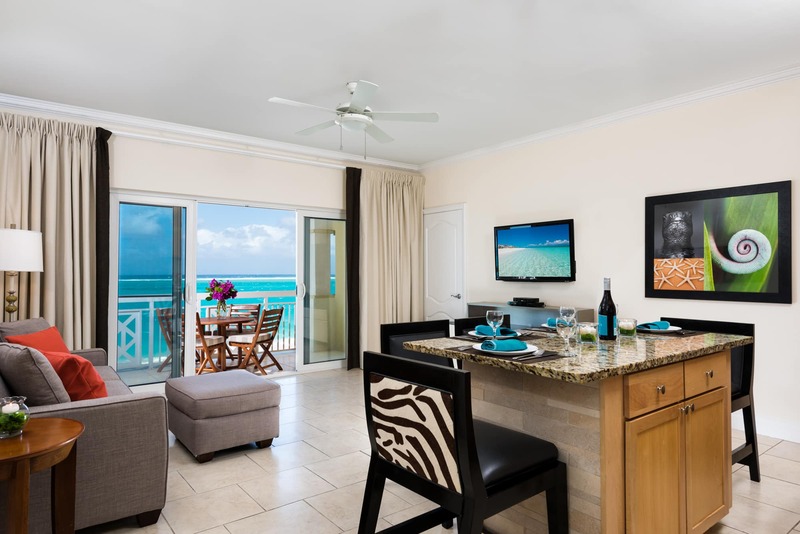 All suites feature A/C, ceiling fans, US & international cable TV channels and a full kitchen. 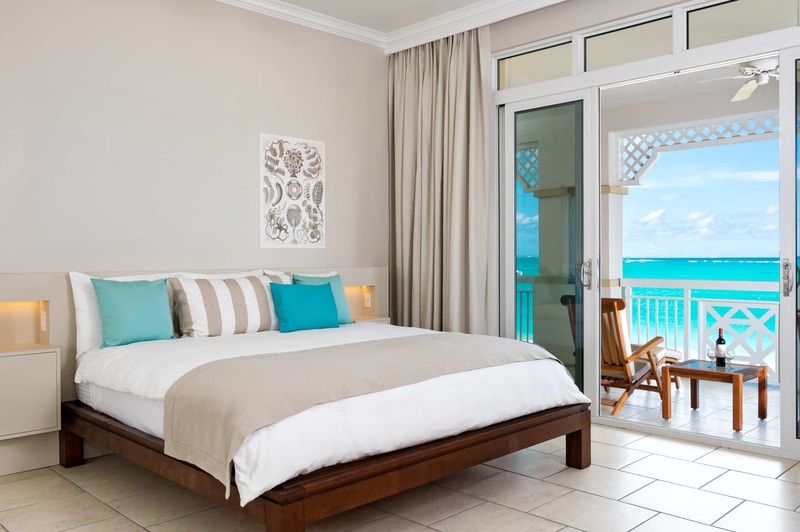 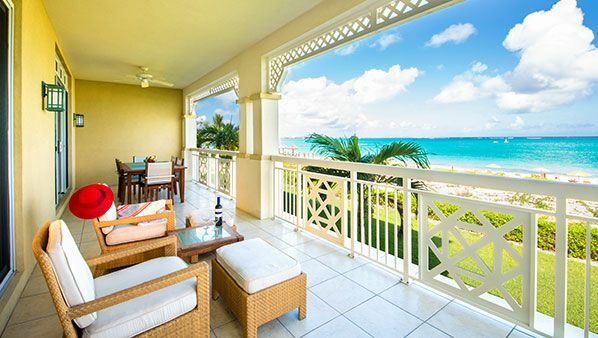 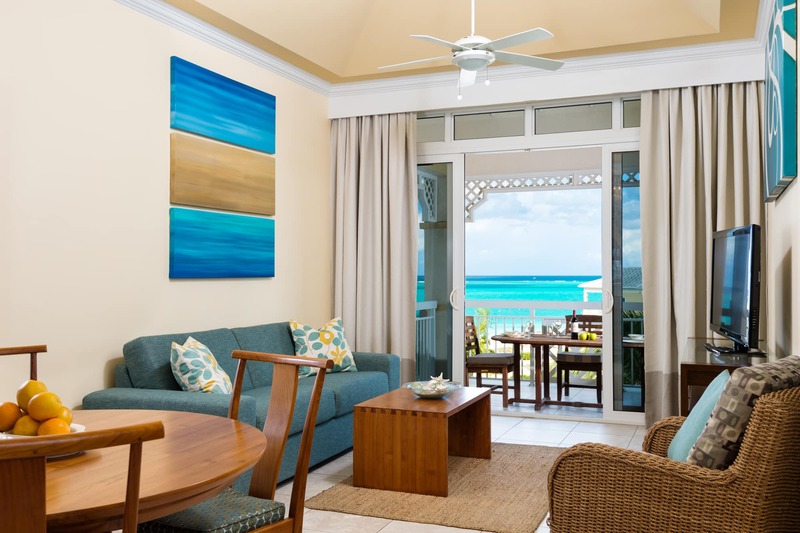 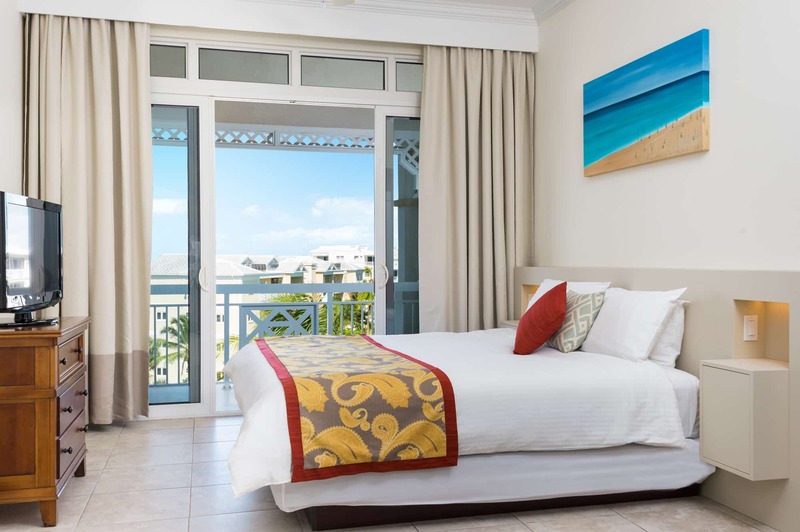 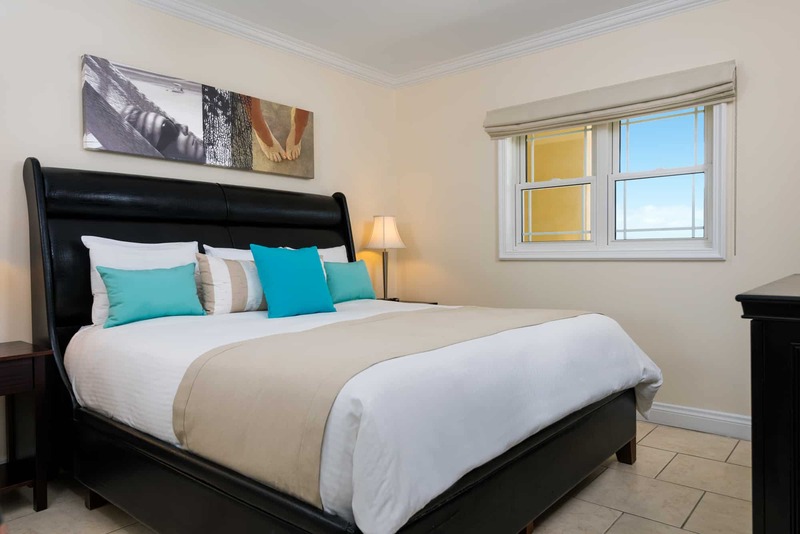 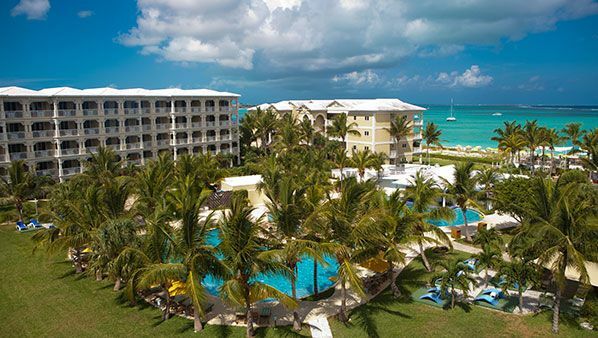 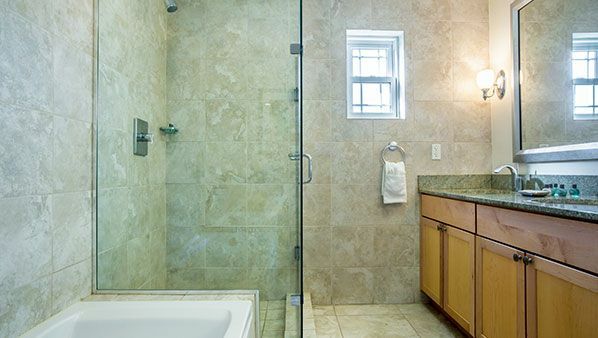 One bedroom suite featuring a balcony or terrace with direct ocean views facing Grace Bay and a master bedroom with king bed, flat screen TV and a full en suite bathroom with tub and shower. 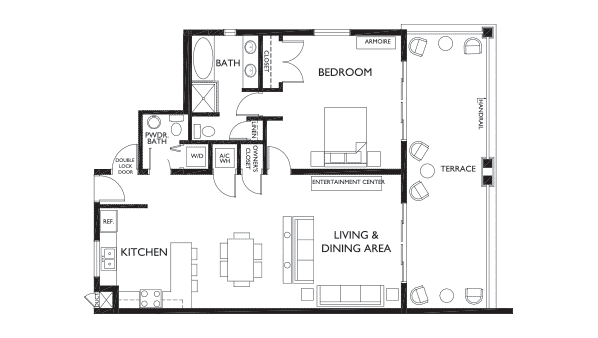 The separate living room comes with a queen sleeper sofa and flat screen TV. 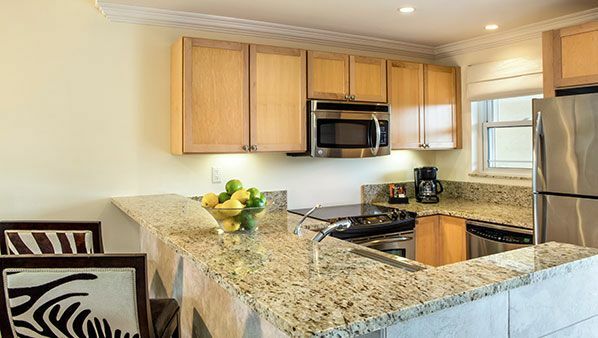 All suites feature A/C, ceiling fans, US & international cable TV channels and a full kitchen. 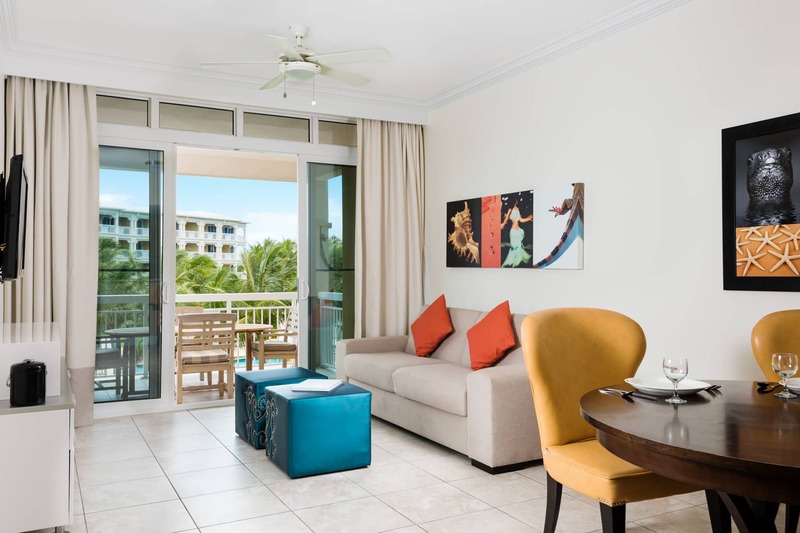 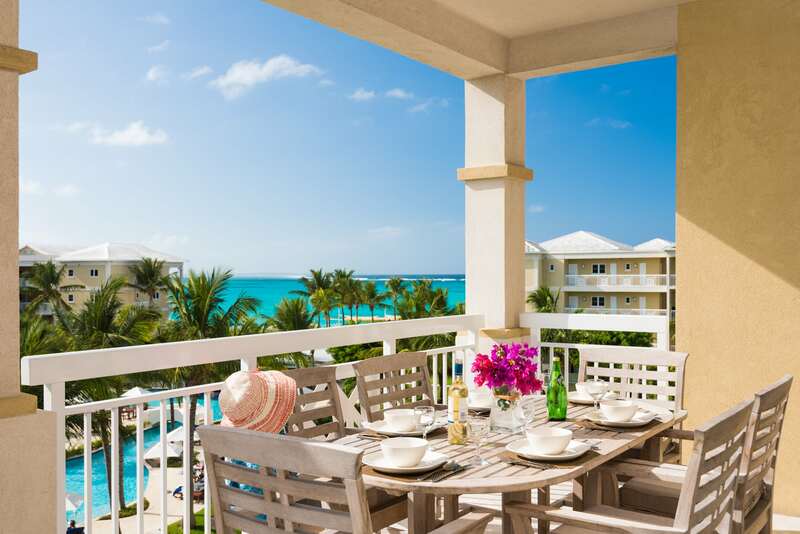 One bedroom suite featuring a balcony or terrace with direct ocean views facing Grace Bay and a master bedroom with king bed, flat screen TV and a full en suite bathroom with separate tub and shower. 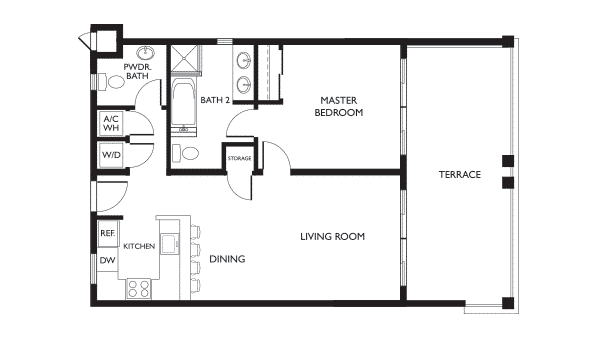 The separate living room comes with a queen sleeper sofa, ½ bathroom and a flat screen TV. 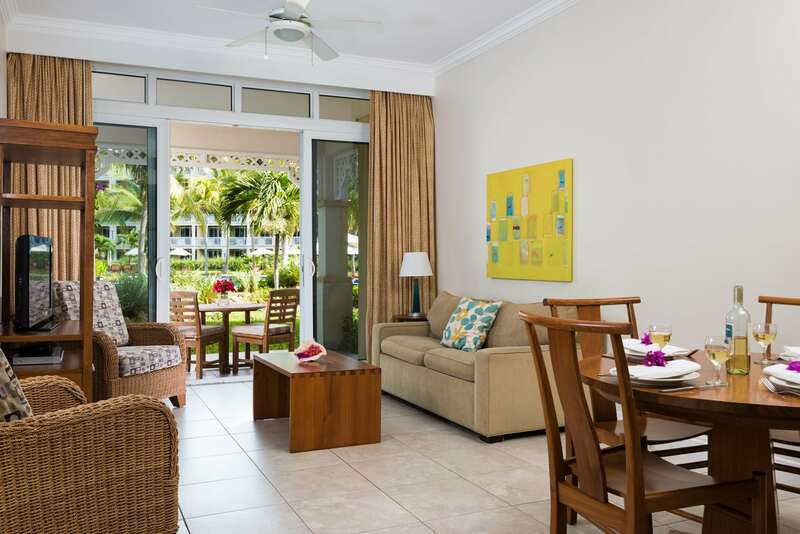 All suites feature A/C, ceiling fans, US & international cable TV channels and a full kitchen.